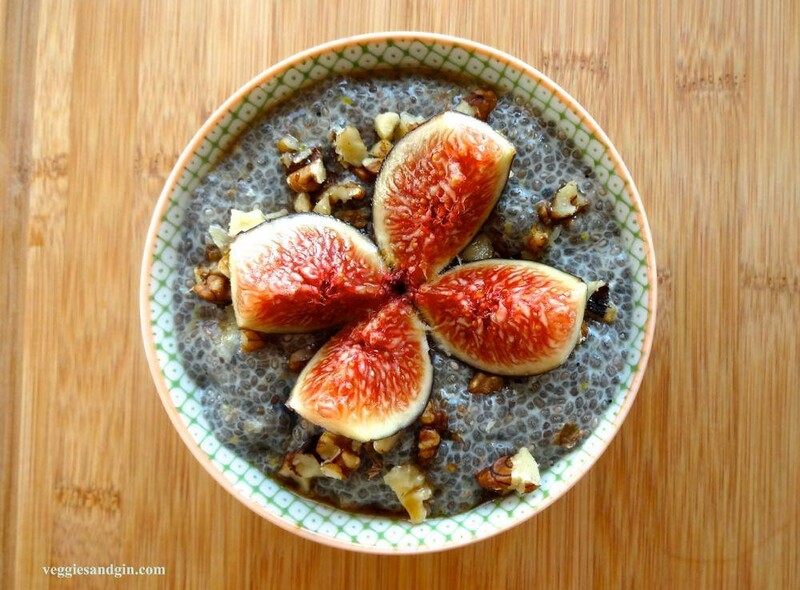 To be perfectly honest, it took me a long time to warm up to chia seeds. Initially, I found the slippery, grainy texture of chia seed puddings off-putting and, frankly, I was pretty cynical of anyone who claimed that chia seeds combined with a little bit of almond milk tasted like dessert. It tastes fine but that does not constitute a dessert in my repertoire. I'm a fairly open-minded person, though, and I like to play with new ingredients and dishes. Moreover, chia seeds are pretty stunning from a nutritional standpoint so it's hard to ignore them. They have an abundance of omega-3 fatty acids as well as an abundance of antioxidants which help keep all those useful fats from oxidizing. They're also an amazing source of fiber. 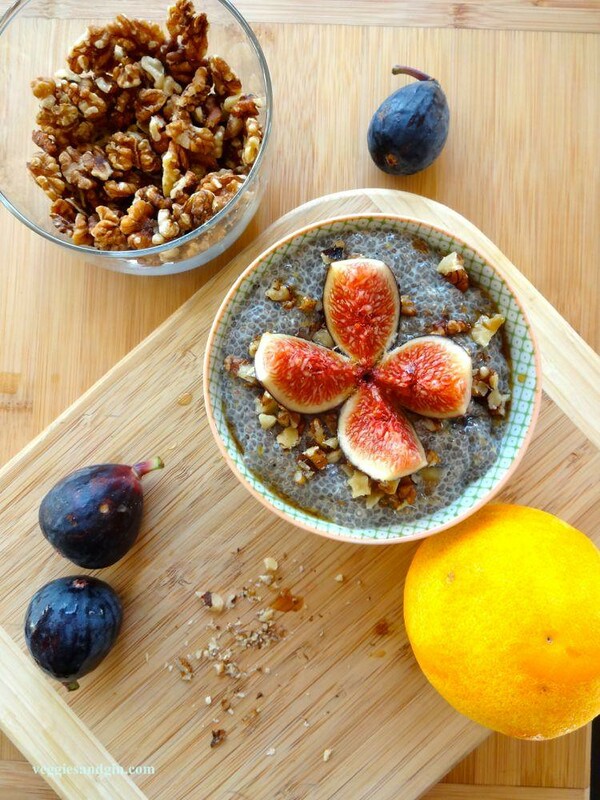 According to Superfood Kitchen, just one tablespoon of chia seeds provides over a quarter of our daily fiber requirement. What they're best loved for these days, however, is their ability to easily absorb and plump up when combined with liquids. To cite Julie Morris again, a chia seed can absorb nine times its weight in water. Most importantly, once I realized that their neutrality (a diplomatic way of saying "tastelessness") allowed for all sorts of flavor experiments, I decided I kind of liked the little guys. 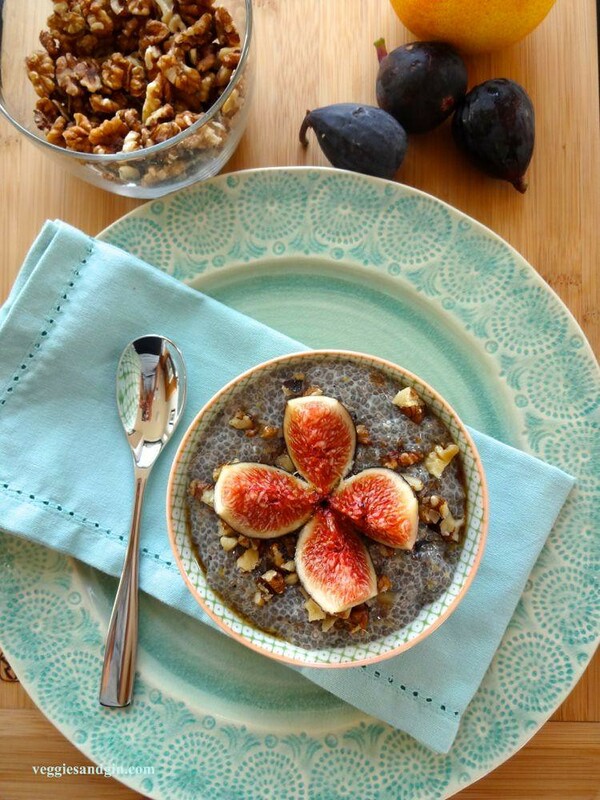 Expect a chocolate version soon (shocking, I know) but, for now, I'm leaving you with this lightly fragrant and delicately flavored citrus and fresh fig chia seed pudding. I love fresh figs and now is the time to devour them. The little fig seeds mingle with the chia seeds for a crunchy texture and the citrus and maple brighten the otherwise mellow, creamy pudding. It's not quite dessert but it is a lovely and refreshing summer breakfast for two. In a medium bowl, whisk together the almond milk, chia seeds, citrus zest, and maple syrup. Let the mixture sit at room temperature for 10 minutes or so. Add in the chopped figs and stir again. Cover the bowl with plastic wrap and refrigerate for at least 8 hours or overnight until it's thick and pudding-like. When ready to serve, stir the pudding well and divide between two small bowls. Garnish each pudding with a quartered fig, a tablespoon of chopped walnuts, and a drizzle of maple syrup, to taste. Eat. Notes: I used tangelo zest here but feel free to substitute your citrus of choice - oranges, tangerines, and clementines would all work well.